A.P.E is proud to present the first project by our guest curator Fleur van Muiswinkel: Composing through Words, a performance event that takes place at Veem Theater in Amsterdam. As part of Performa 13, and in collaboration with presentation partner BAM (Brooklyn Academy of Music), The Humans will be shown from 13 through 17 November 2013. The show is sold out online but please try to get your tickets at the theater, just before the show. 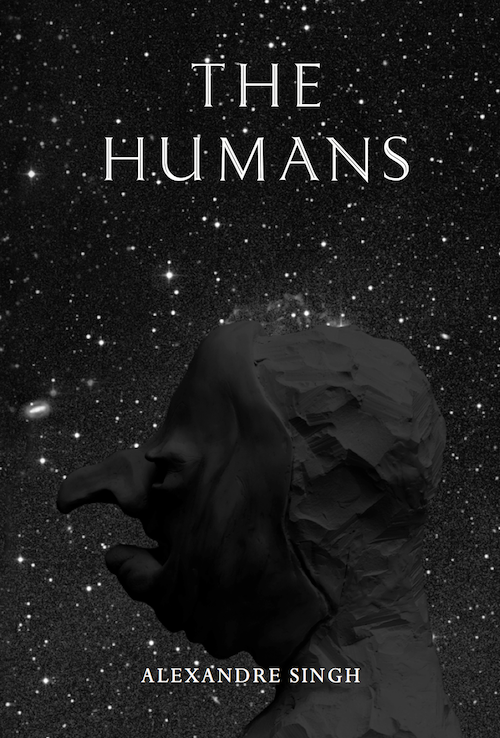 The Humans tells the story of two spirits named Tophole and Pantalingua, who would rather see the Earth not created. The work is modeled on the comic writings of Aristophanes and set during the dawn of time and space. In a battle against the egomaniacal Creator, Tophole and Pantalingua conspire their way to an accidental Paradise Lost, ultimately corrupting the eponymous humansâ€”portrayed as a vast, songful, and statuesque Greek chorusâ€”into the flawed mortals we are today. Alexandre Singh was invited by Witte de With Center for Contemporary Art, to develop The Humans at Witte de With from April 2012 to January 2013, after which he continued to work on the play in Rotterdam. Singh shared and developed his research and production through public presentations of his work-in-progress centered around thematic monthly public events at Witte de With, titledCauseries. During these public conversations Singh looked at topics ranging from cosmology and cosmogony to satire, theatrical costumes, and scatology as well as key inspirational figures such as Aristophanes, Alexander Pope, P.G. Wodehouse, William Hogarth, John Ruskin, South Park andWoody Allen, resulting in this full-fledged theatrical account of the universeâ€™s creation. May 23, from 9pm on. Theater Neumarkt is located in ZÃ¼richer NiederdÃ¶rfli, at Neumarkt 5.